It’s not often, during the holiday season, that we get two nights over a weekend to camp out. So, when the opportunity to getaway in one of our VW campervans for hire happens, we grab it with both sweaty mitts. 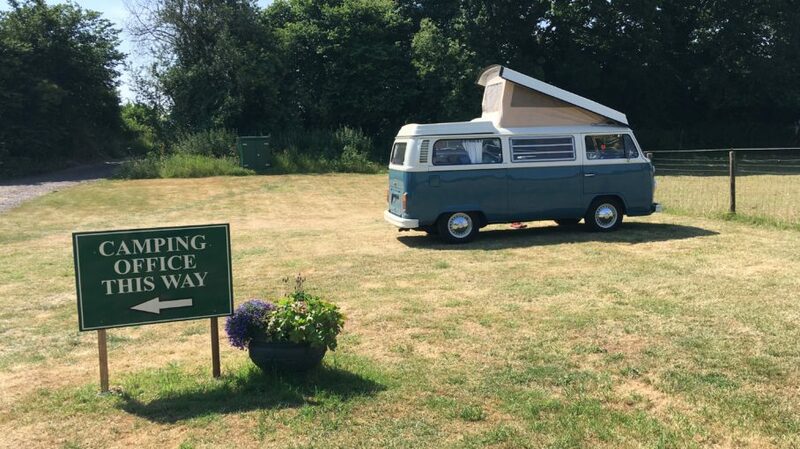 It also happened that we needed to be in Ringwood, in the New Forest, Monday afternoon for our VW campervan, Matilda, to have her gas safety check. 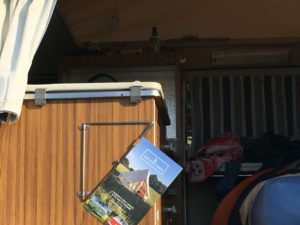 In the interests of efficiency, we felt it best to camp overnight halfway and being a VW Westfalia Continental campervan, she had all the home comforts we would need – a two ring hob, fridge and comfortable rock n roll bed. Plus a leisure battery as there wouldn’t be electrical hook up at the campsite we had chosen. Always best to know these things in advance. Who would be the lucky campsite to receive our hard-earned dosh? Holden Farm, near Cheriton, on the South Downs Way. We’d chatted on social media for months, now we are finally going to meet. 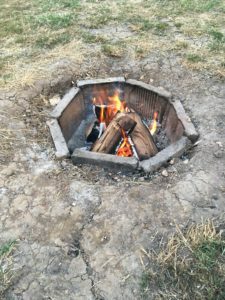 As soon as we arrived at the campsite we were impressed. Stunning views of undulating green and gold British countryside surrounded us. 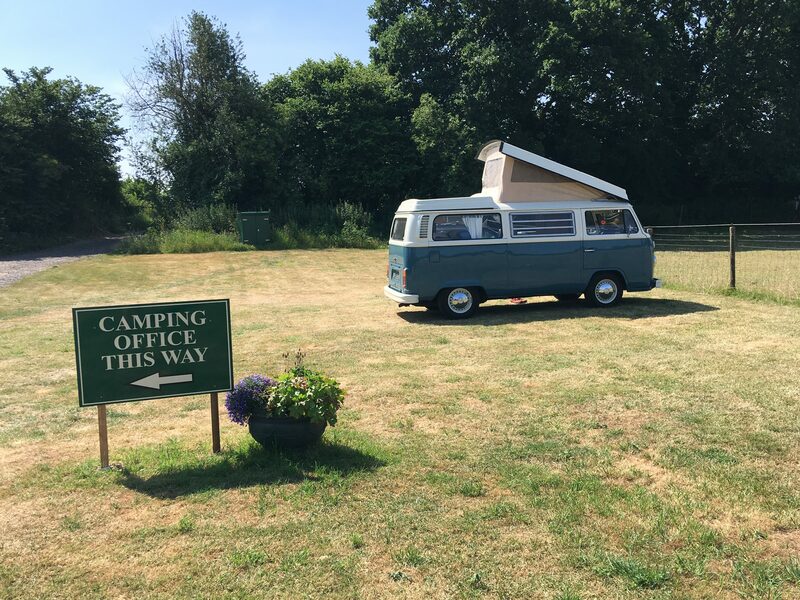 Everyone was so helpful, including fellow campers, pointing out the great benefits, such as, unisex toilet and shower blocks – great for families. No more “who’s got the toothpaste?”. 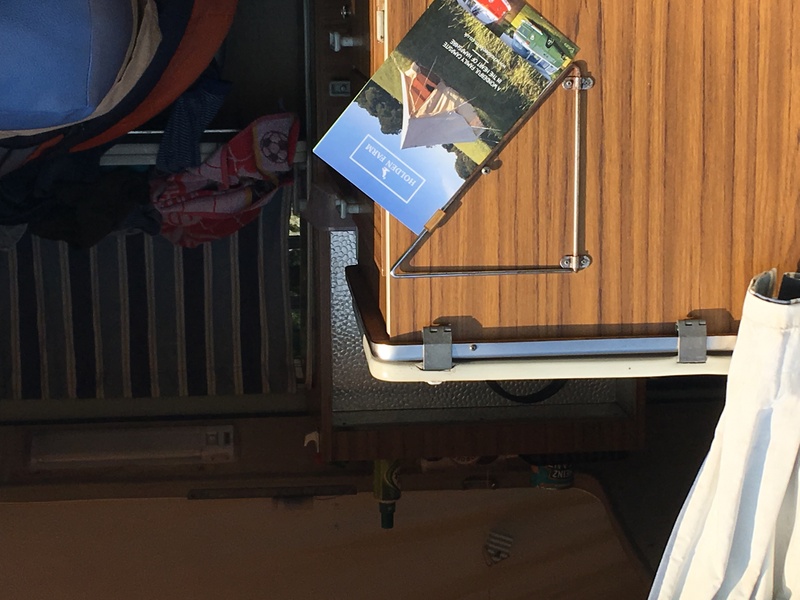 Other well thought out services include phone charging points, an ice making machine, free freezing for freezer blocks and indoor washingup facilities – with lashings of hot water. The ice cream that is sold is sourced locally, as are the knitted water bombs yes, you read right, knitted water bombs! Becca and her team believe in collaborating with other small businesses to keep the local economy thriving. On Sunday we took a walk to the Flower Pots Inn, Cheriton to investigate the micro-brewery. I’ll ‘ave ‘arf! Flower Pots Ale & Elderflower Ale, that is. In the interest of market research, we forced ourselves to test their wares. Kevin had the Flower Potts Ale and I tried the Elderflower Ale. We weren’t disappointed. 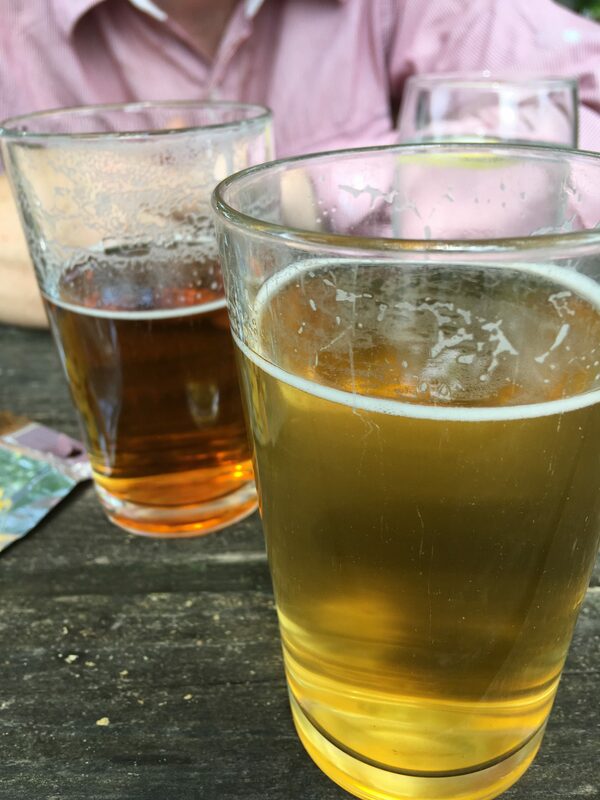 Real ale brewed on the premises – lush! They even do take away beer! 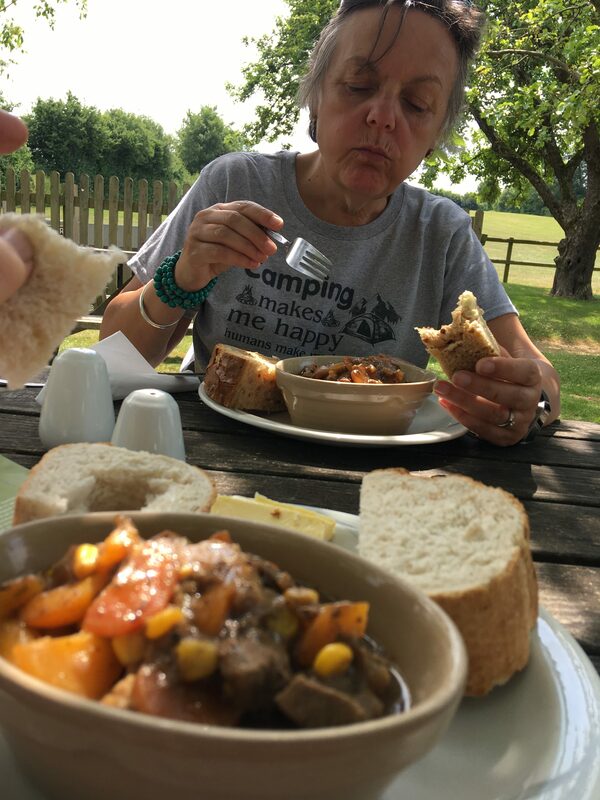 They also have several stews with chunks of bread for mopping up on the lunch menu. Well, it would have been rude not to try them. Refreshe d and refuelled we walked on. 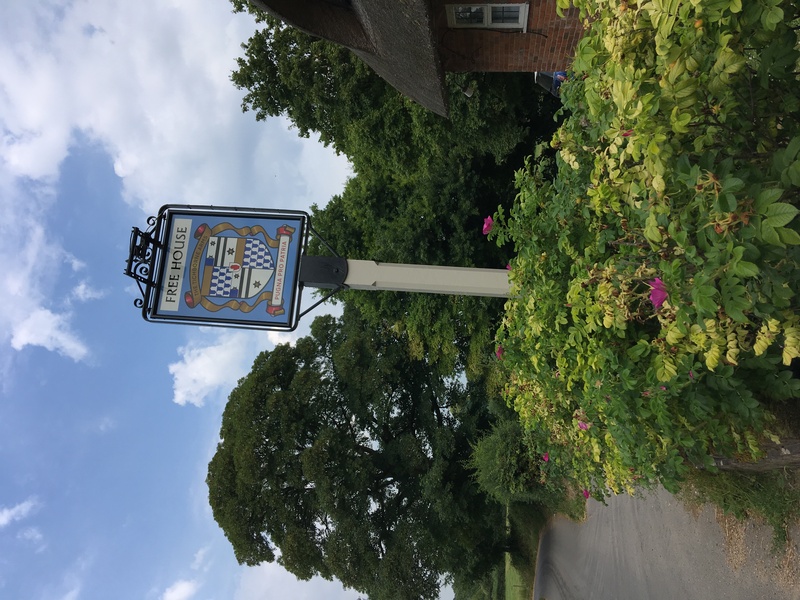 This time to Tichborne. 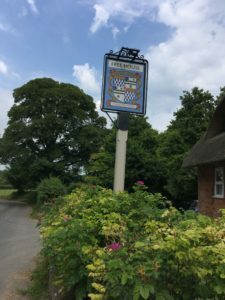 The Tichborne Arms that is. An old established pub with beams and stone floors. Again, real ale on draught. A couple of halves of Winchester Ale were consumed. Oh! And an amazing rhubarb and ginger wine crumble. Back we wandered over hill and vale to Holden Farm Campsite. We booked a fire pit for a very reasonable £5 and bought £10 worth of logs. 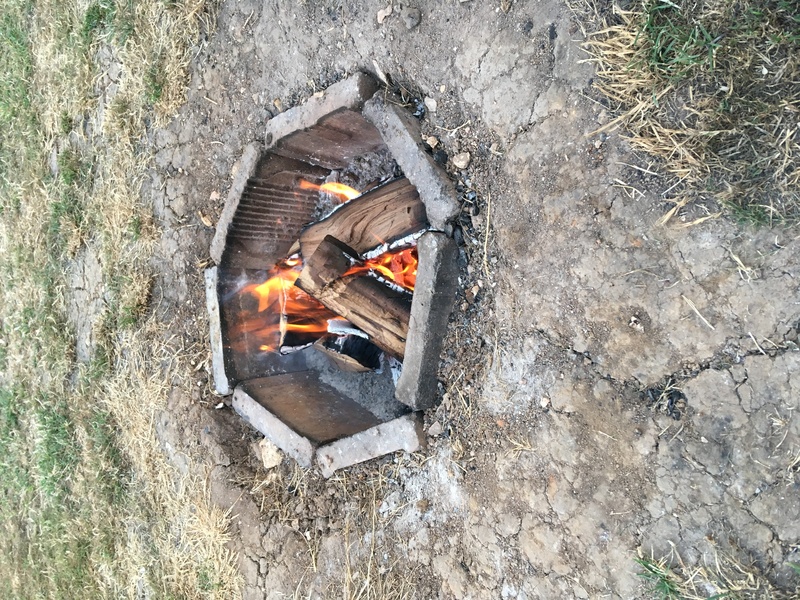 Within minutes the fire was blazing, the sign of well dried out wood. Everything at this campsite has been well thought through. At £12 per night per adult at the weekend, it’s great value for money, clean, inviting and friendly. It’s what we call affordable fun.